The program contains the built in post client, allowing to send personal reports (Claim, Protocol, UBN) to the participant by e-mail. 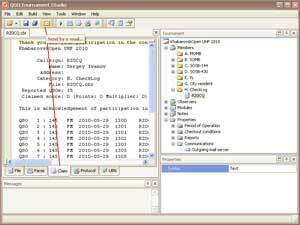 Use command "Send by e-mail..." from toolbar or from submenu "File". Parametres of oungoing message server and the participant e-mail address should be preliminary adjusted. 1. 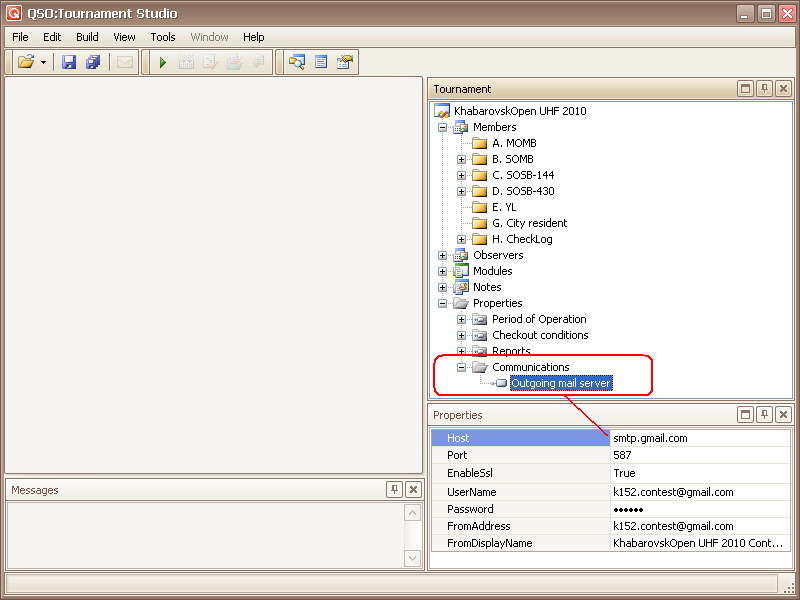 Adjust parameters of Outgoing messages server (SMTP). It is supposed that you have created in e-mail account on the chosen post server. It can be the accounting record in one of popular post services (GoogleMail, mail.ru, etc.) or on other post server. It is necessary to bring in options of competition parametres of outgoing messages server (SMTP). 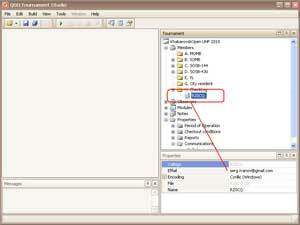 For popular post services parametres and examples of adjustment of access as a rule are resulted in their SMTP-servers on support sites (search for section "Adjustment of post clients"). You should be convinced that your services of Internet access (gates, network firewalls etc.) suppose the proceeding reference to a SMTP-server under the demanded protocol and the specified port. Open the necessary tournament. In a tournament tree expand nodes "Property", "Communications" and select node "Outgoing mail server". In the "Properties" window bring parametres of SMTP server. 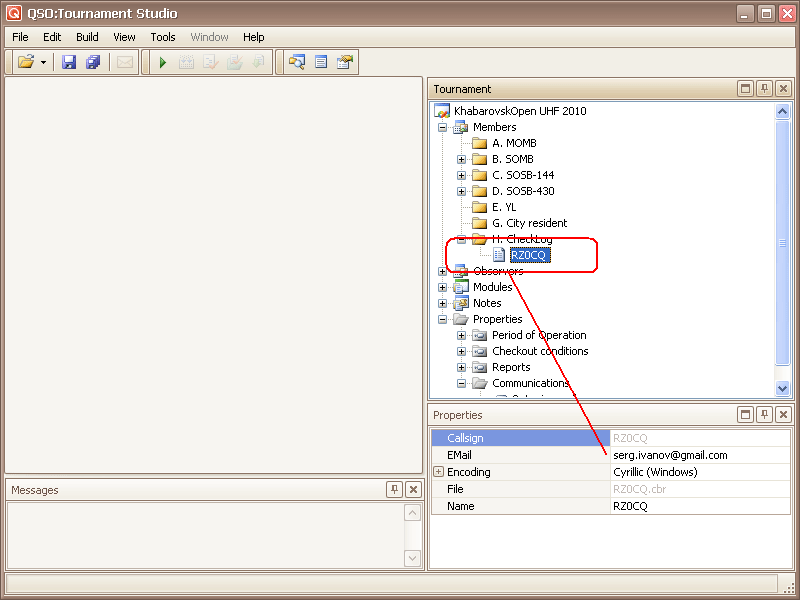 The address of participant should be specified in properties of its file. 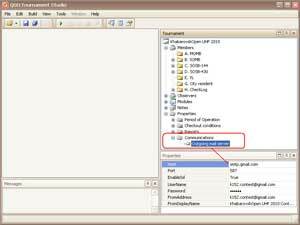 Value of attribute EMail can be entered manually. E-mail address can be received from tag 'EMAIL:' of an initial CABRILLO file. 3. Send personal report of participant by e-mail. For sending of the personal report text should open the demanded report (Claim, Protocol, UBN). 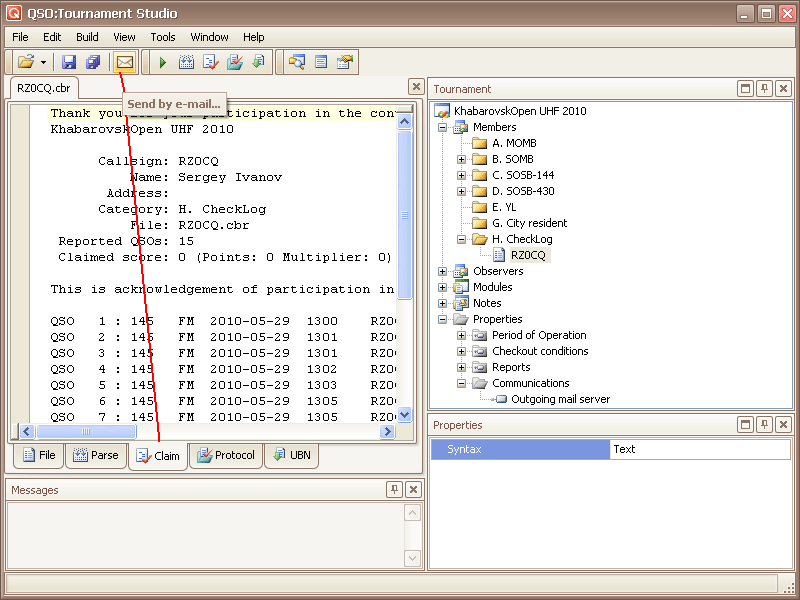 Use command "Send by e-mail..." from toolbar or from submenu "File". Confirm sending of the message or refuse.